The Dirty Truth Behind the Sewer System – KC Engineering and Land Surveying, P.C. As a child, did you ever wonder where your goldfish went after you flushed him? Did you imagine him soaring off to sea through a single pipe that connected your toilet to the ocean? Probably. Is that what really happened to him? Probably not. 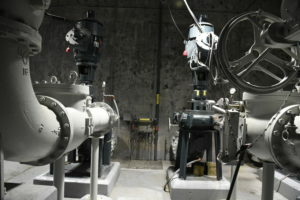 But don’t get too upset, the actual engineering behind wastewater and sewer systems is pretty interesting. In fact, your goldfish probably went on a wild ride! Whenever water or items go down the drain, they are sent through a pipe in the ground to the local sewer system. From there, gravity sends the wastewater down the sewage line towards the treatment plant. However, most locations aren’t lucky enough to have a plant located at the bottom of a mountain. This is where the real engineering kicks in. 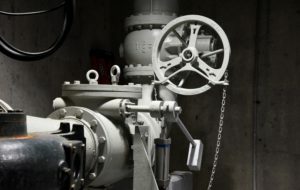 Once the pipes get too deep, the wastewater must be pumped closer to the surface so that it can begin its descent again. 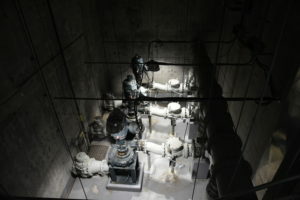 These pumping stations are part of a force main sewer that pressurizes the water so that it can flow against gravity to the treatment plant at the other end. Seems simple enough, but sometimes the lines will get clogged by miscellaneous items (like your goldfish) or rags that prevent the water from flowing. In these cases, a pig is sent from the beginning of the line to the end in order to remove the blockage. The pig is a flexible cylinder that moves through the pipes and clears any buildup or blockage it encounters. When the pig emerges from the other end, it brings all the waste with it. Check out this video titled “Sewer Wars” for an out-of-this-world description of the process. 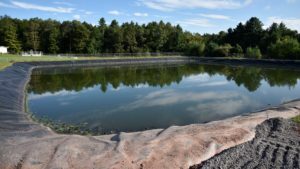 When the water finally arrives at the treatment plant, chemicals and bacteria are used to cleanse the dirty water so that it can be sent back into the environment. After that, the cycle begins all over again. Engineers use their skills to create complex systems that aid in the day-to-day process so seamlessly that most people don’t even know about them. But now that you do, maybe next time you’ll bring your fishy friend to the ocean yourself. That may be the one thing engineering can’t help you with.